Posted on November 2, 2018 by F.I.T. I was at a cross country meet a few weeks ago. It was classic x-country weather here in Nova Scotia: the wind was blustery and the sky was kind of dark. The leaves were blowing all over the place. 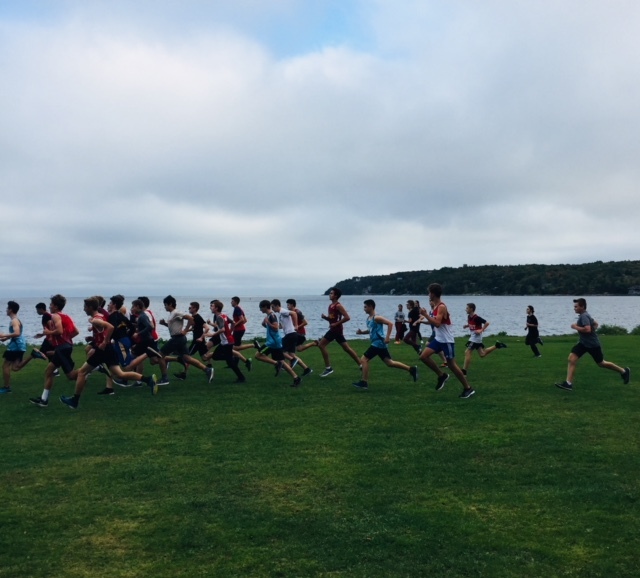 The runners – from local junior and senior high schools – were toughing it out on a difficult course. As a former x-country runner, I cheered for the top runners, who were really impressive. But, do you know who I cheered loudest for? The runners that were at the tail end of the race. They were the ones who might have been pretty new to running, or perhaps participating to fill out their school team. Maybe they were having a bad day, and not having a great race. One girl I saw looked like she had a cramp, but was finishing it out. While these runners weren’t the ‘stars’, I was in awe of their determination and grit. It brought me back to my first race, back in grade 9. I ran the 800m at the district championships, coming last… by a lot. Encouragement goes a long way. I wanted to give up – during the race, (I was mortified,) and after – but there were people on my team who convinced me to hang in there. I figured I’d stick with it a little longer anyway. 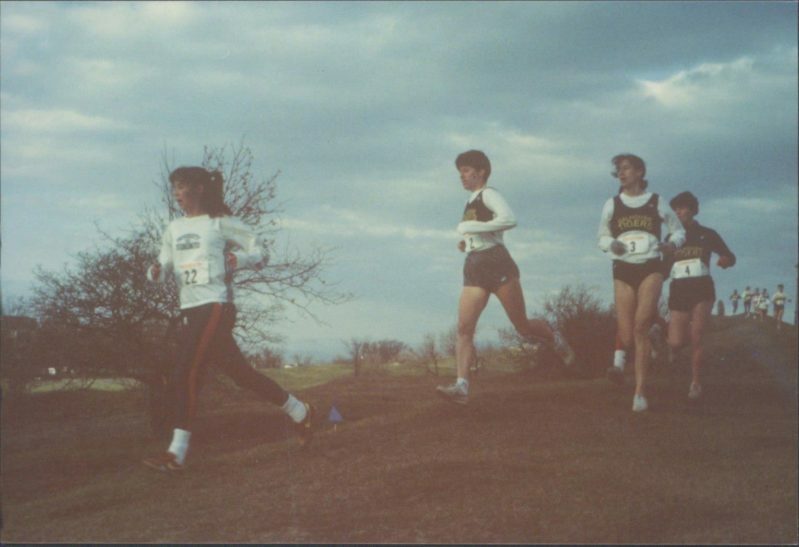 At Dalhousie, Lucy and Annick, our top runners (and national team members), were always positive and friendly toward more novice (or slower) competitors. Our team always wished everyone in the race good luck and a great run. We supported each other. The faster runners would always cheer in the slower ones from various teams. These kinds of sportsmanship mean a lot. You never know who you’re going to inspire, or influence in a positive way. So, next time you’re at a game, or a race, or any kind of competition, cheer for the ones who aren’t the stars. Someday they might be. Either way, it’s going to make you a better sport, a better friend, and someone that gets the most out of sports. And that’s the best of sports. Posted on September 6, 2018 by F.I.T. Sorry I haven’t posted anything in a while. I was playing lots of tennis, visiting relatives in Canada, and hanging out with my friends. Speaking of friends… Charlie, showed me this interesting article on how teenagers and kids are getting off social media. Or at least taking a break. I can believe it! I don’t love just scrolling through my phone, seeing what my friends are doing. I’d rather be doing stuff with them! All my close friends are on the same page. We never bring a phone to the table when we’re eating, and never upstairs at night. And they all had their phones at the dinner table. I thought my mom’s ears were going to start spewing steam, she looked so miffed. (It was kind of funny.) I could tell that my little sister, Fiona, was disappointed too. Finally, on the second last day of our visit, Fiona proposed an experiment: Everyone put their phones away, except to check them here and there. Everyone agreed, probably because Fi’s the youngest cousin, she’s cute, and everyone wanted to humor her. But, you know what happened? Everyone had the best day of the whole vacation. My cousins, who are really cool, and all my relatives had the best day! And supper that night was hilarious. No one wanted to leave the table. My stomach actually hurt from laughing at all the great stories. Posted on July 4, 2018 by F.I.T. We were playing doubles today against these two guys from another club, and they were so brutal to play with! I don’t mean they were bad players – they were actually pretty good. My buddy, Tom, and I felt like walking off the court, but we kept our cool. We kept our focus, and told each other we weren’t going to let those guys rattle us. We ended up winning, by a lot. One of the big things that our coaches teach us (translation: ram into our heads) is good court etiquette and good sportsmanship. It sounds old-fashioned, but being a good sport on the court (didn’t mean to rhyme that) makes the game way more enjoyable. People want to play with you. And you play better. I looked up tennis etiquette, and found a cool guide to from Tennis Australia. (You Aussies are the best!) Check it out here. So, whether you’re playing tennis or another sport… be a good sport. Whether you win or lose, it will make the experience more positive and fun! Posted on June 15, 2018 by F.I.T. It’s a ban on juice and chocolate milk in schools, in a province in eastern Canada (near where my mom’s from). Check out the article here. Yeah, I understand the ‘limit sugar’ thing… But chocolate milk also has all kinds of awesome nutrients. I drink it after practice, mixed with some white milk. And juice has got lots of good stuff in it too. We eat tons of fruit and veggies. I never drink much juice, and I usually add a little water. Sometimes I have a little in a smoothie. Anyway, the thing that bugs me about this ban is that they’re not teaching kids to use moderation. Like, don’t have a huge glass of juice. Just have a little glass, or a half a glass. That’s called portion control! Or, mix your chocolate milk with white milk. They’re also not getting them moving enough. If you read the article, those students hardly have any phys ed! That’s crazy. And, they sit all day in class. Maybe they sit around when they get home too. That’s bad! Then my mom and her mom got chatting one day, and Mom said how we talk about healthy amounts of different things, like chocolate milk. So now, chocolate milk isn’t this big deal anymore. So, maybe, instead of imposing all these limits on kids and teenagers, people should teach healthy choices more! Let’s start with moving more in schools, and showing kids that you can have balance with exercise and healthy food! Sue and I wrote about how easy it is to have balance – after my buddy Charlie had some weight issues – in our first The F.I.T. Files book. Check out Balance It Out on my website. It’s really good! Posted on April 29, 2018 by F.I.T. How’s it going? I’m pretty pumped. We’re planning our summer! For me, that means lots of tennis, and also going to visit my cousins in Canada! I’m going to try sailing with one of my cousins in Nova Scotia! What are you doing this summer? Are you doing your favorite sport? Or trying some new activities? If you want to try something new, make sure you can try it, without having to stay in it all summer if you don’t like it. I mean, give any new sport or activity a good chance. But talk to your parents (or whoever takes care of you) about trying it ‘risk free’. That means you can check out a new sport or activity, without having to stay in it for a long time, if you don’t like it. Posted on January 7, 2018 by F.I.T. Hey! Happy New Year! Hope you had an awesome holiday! Here in Chapel Hill, it’s, uh, freezing. Luckily, since I’m half Canadian, I have lots of tips on staying warm, especially when you want to be outside and active. Step 1: Stay inside and drink hot chocolate… Just kidding! The big thing is dressing for the weather. When it gets really cold in North Carolina, we have to haul out our layers. My Canadian cousins have all this stuff down to a science! The secret is layering. First, you need a nice inner layer to wick sweat away from your skin, like a regular long sleeved shirt. 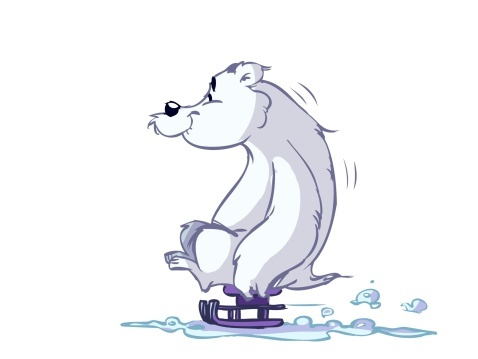 (Believe it or not, when you’re active in the cold, you can still break a sweat and get pretty hot.) Then a mid-layer for warmth, like fleece, and an outer layer, like a winter coat or water resistant jacket, to block wind, snow, and cold air. Mitts, a hat, maybe a scarf, boots if it’s snowy, nice thick socks, and you’re good to go! See, when you layer your clothes, you can adjust a little if you’re too hot (unzip or take off a layer), and it helps keep out the cold. The Norwegians say that there isn’t bad weather, only bad clothing. I kind of get it. I don’t mind layering on warm clothes to have fun outside. With my Labrador retriever, Ralph, I kind of have no choice. He needs exercise, and he loves walking, running, and fetching in this weather! Like Ralph, my cousins in Canada get super pumped when it snows. So, if you can, be like my Canadian cousins (and Ralph), and try to embrace the winter! If you dress warmly enough, it’s actually pretty refreshing to get outside. Even better if you can skate or ski, or go sliding! Whenever we’re in Canada during the winter, I have a great time, because there are so many fun winter activities. It makes this cold snap here not seem so bad! Stay warm out there! Posted on December 9, 2017 by F.I.T. The thing is, we passed this little girl and her dad, and she patted Ralph, asked what his name was, and said how much she wants a dog for Christmas. The dad looked like he was thinking about it. He nodded like he got it. This time of year, sometimes people think it’ll be cute to get a pet for Christmas. And that can be cool. But you have to be ready for a big commitment. It’s like adopting a furry kid. What kind of dog will fit into your life? Are you active? How much space do you have? That kind of stuff. Some dogs are better with kids. Some are happy to be lapdogs… (not Ralph). Make sure to talk about (okay, Mom’s looking over my shoulder and said ‘really talk about’) the commitment that will go along with a furry ‘gift’. If you get a dog over the holiday, make sure you have time for him or her. Don’t be going out to lots of parties and leaving your new family member behind, or have too much craziness in your house. My number 1 tip: Check out the ASPCA (in Canada, it’s the SPCA) and see if your perfect friend is there. You’ll give a dog the best gift ever: a great home. If you’re not sure if you’re ready for a dog, you can help friends or neighbours take care of their dogs. Or volunteer (with your parents’ permission). There’s lots of dog love out there to go around! Whether you have a new pet this holiday season, or one that’s been in the family for a while, here are some great tips from the ASPCA, on taking care of your dog (or cat).